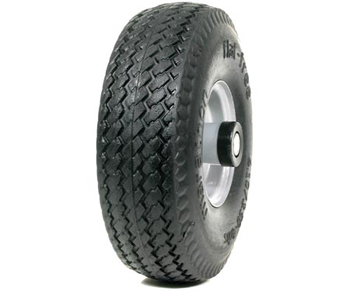 The Flat-Free tire is often referred to as a 10" tire, is one of the most common tires for garden and nursery carts. It comes standard with a 2.25" offset hub. This tire is lightweight, non marking and most importantly...Flat Free! This tire can handle up to 300 lbs.